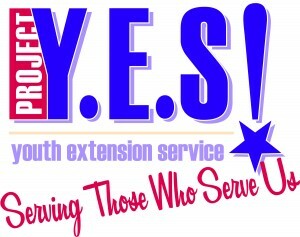 Project Youth Extension Service (YES) was created in response to the growing need of youth development programming for military families impacted by military deployments. Project YES provides youth development programming for military families affected by deployments or other service related programs. This goal is accomplished through a cadre of college undergraduate and graduate students who serve as YES staff interns for one year. Prospective interns are recruited through a national application and interview process. Upon selection, Project YES interns receive high-level training in leadership development, facilitation skills, youth development, and curriculum. 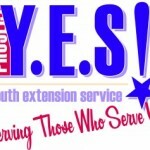 Project YES interns also work with a personally assigned professional mentor and complete a career-enhancing project. This initiative, designed to expand and enrich the efforts of the Yellow Ribbon Reintegration Program (YRRP) and other military children and youth programs, is funded and made possible through a Cooperative Agreement between the Department of Defense and the United States Department of Agriculture, National Institute of Food and Agriculture Partnership for military families. For more information, visit the Project YES website or contact Mr. JC Johnson at james_johnson@ncsu.edu. Interested in joining Project YES? Click HERE for more information!